* Carl Pottenger and Sally Roberts with Lord Dafydd Elis-Thomas. 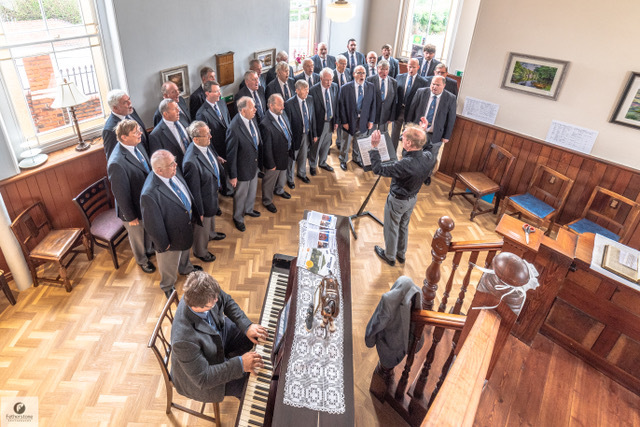 * Froncysyllte Male Voice Choir sang at the official opening. A former derelict chapel has been brought back to life thanks to a couple who quit their jobs to make their dream of running a tea room come true. Business partners Sally Roberts and Carl Pottenger of Trevor, near Llangollen, took on the ambitious project in 2016 to convert the former Bryn Seion Chapel on Station Road into the Pontcysyllte Chapel Tea Room, close to Thomas Telford’s famous Aqueduct. The aqueduct gained World Heritage Status in 2004 and has seen the area boosted by increased visitor numbers since. Sally and Carl recognised the gap in the market to provide those visitors with a quality eatery close by, showcasing some of the best local produce available. The ambitious project was boosted by a £30k grant from the Welsh Government’s Tourism Investment Support Scheme. They now employ 12 staff on a full-time, part-time and casual basis. Carl oversaw the renovations, ensuring local craftsmen were employed to carry out the work. Sally set about identifying and applying for funding, before quitting her job with a high street bank last year to concentrate on the project full time. Phase two of the project is already underway with the transformation of the remainder of the building into five modern, airy bedrooms - two on the ground floor, including one with disabled access and three on the upper floor. It is intended that two bedrooms will be completed and available from mid-July. Sally Roberts said: “It was certainly a daunting prospect to purchase the chapel but I’d seen it falling into disrepair on a daily basis in recent years and thought what a great tea room and B&B it would make. So when I met Carl we both decided to make it a joint venture and took the leap to buy the property. 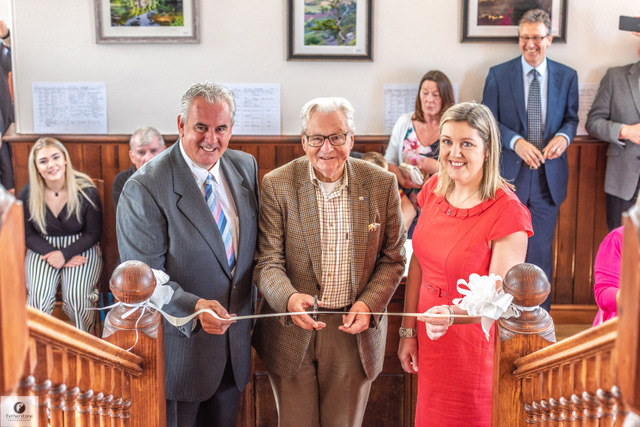 The Pontcysyllte Tea Room opened its doors in February and was officially opened by Lord Dafydd Elis-Thomas, AM and Minister for Culture, Tourism & Sport on Monday. The Wales Government offers grants under the Tourism Investment Support Scheme for ‘Distinctive Stand Out Projects’. Lord Elis-Thomas said: “I’d like to congratulate Sally and Carl for their vision in seeing the potential in this historic building and turning it into this excellent tea room. As well as being a welcome addition for visitors attracted to this iconic World Heritage Site, they’re also creating new jobs in the tourism sector in north east Wales.